DON’T FORGET OUR MILITARY DOGS! Our hard-working k9 troops and their dedicated handlers face tough deployments far from home. 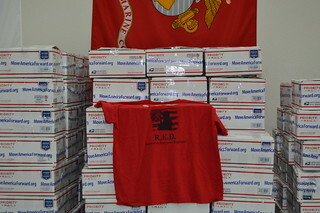 Recently, the staff at Mule Creek State Prison participated in a drive called the R.E.D. drive which stands for Remember Everyone Deployed. The R.E.D. 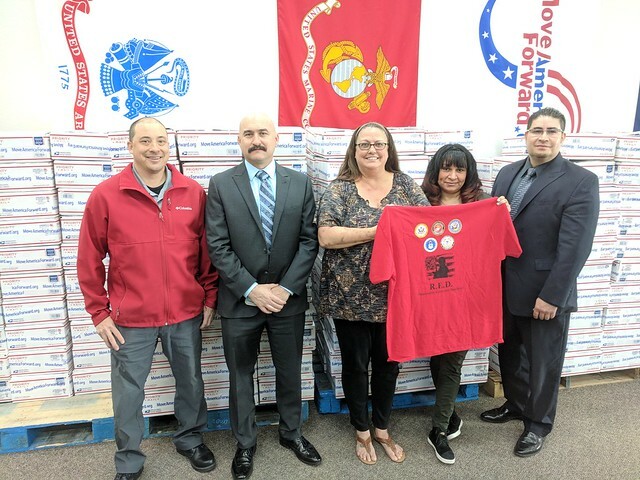 drive allows the members of MCSP staff to proudly wear their special shirts to show their support of our troops and they use this drive to raise fund which they then donated to MAF for care packages for our troops. This year, under the helmsmanship of Angelo and Sandra from MCSP, they were able to raise an impressive $3,535.00 in funds for direct support of our troops. This was Mule Creeks second year using their R.E.D. 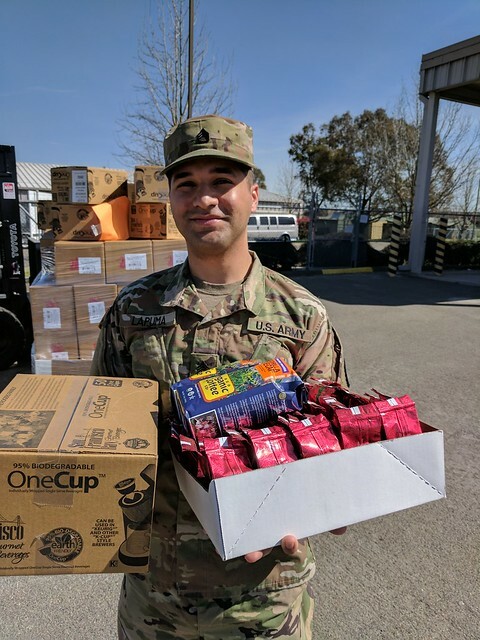 drive to raise funds towards care packages for our troops, and according to Angelo the staff was even more enthusiastic about doing this support drive than last year. “I actually found MCSP staff more enthusiastic the second time around.” Stated Sandra. For their 2018 R.E.D. they decided to split their donation 60/40 between troop packages and k9 care packs. Angelo went on to say, “Several Months ago I read on M.A.F. website the need for Care Packages for the K9 Teams and with there still being over 10,000+ troops deployed overseas it seemed important to have the donation split 60/40. It humbling knowing the troops and K9 teams know that we support them.” We couldn’t agree more, giving to our troops is always a special moment. We were very excited to have MCSP reps, including Sandra and Angelo come visit our new MAF headquarters, so we had to ask them what they though of our new digs! Thanks again to all the staff at Mule Creek State prison for their inspiring dedication for our troops! Coffee plays a special role in the lives of our troops, they rely on it as a lifeline as they are required to start early and work long hours. Help MAF Retain Top-Rated Status with Popular Charity Rating Groups! Huge thanks to all of our supporters or donors who wrote positive comments on our page. At MAF, we are very dedicated to supporting our troops, it is our mission and we take that mission seriously and personally. Several months ago my husband and children decided they wanted to send a care package to our troops as a special surprise for me. As Director of Troop support, I help make sure our troops receive care packages, and my family wanted to pitch in and sponsored their own care package. We were delighted when we received this special note of thanks from the troops we sponsored. What a great honor that our hard-working troops took the time to thank us, when we were just trying to say thank you to them! If you have sent a package to our troops, thank you for your support, it means so much to our troops, even if they just don’t have the time to thank you personally. Messages from the troops with Brenda! Our friends from the El Dorado County Association of Realtors stopped by this morning to pick up coffee for their Care Package Program! Thanks for all that you do to Honor Our Troops! Great Non-profits; check out one of our latest reviews!